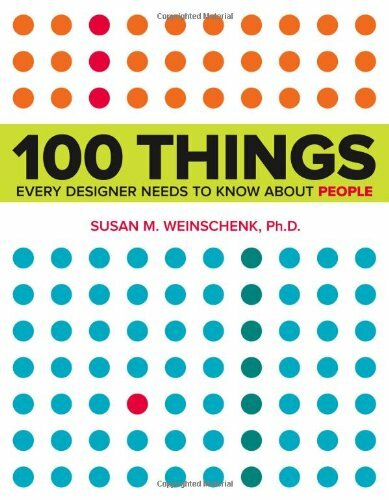 On my quest to become the best game designer I can possibly be, I recently read 100 Things Every Designer Needs to Know about People, a quick but interesting book by Susan Weinschenk. The book is a list of facts about people, ranging from physical specifics about vision to patterns of social interaction and emotional states. The book is written with a focus on website design, but many of the facts are very relevant for game design, which is why I thought I’d share some of them with you today. And in keeping with the style of the book, I’ll just be going down the list. If you’re like me, you’ve known that designing for color-blind people is important, but you’ve never been terribly sure how to do it. Weinschenk specifies how people are color-blind: almost all are red-green color blind, meaning they have trouble differentiating reds, greens, and yellows, though some have trouble with blues and yellows or seeing any color at all. Weinschenk also provides a tool to assist designers interested in accommodating color blind players (almost 5% of the population!). The Colorblind Web Page Filter lets you view a web page through the eyes of a color-blind person (great if you want to throw a bunch of images from your game on a webpage and check them all at once). So, you’re a successful game designer and can afford to pay an actual graphic designer to worry about the appearance of your game? I still recommend understanding issues such as color-blindness. This not only allows you to communicate better with your graphic designer and give him or her better instructions and plans, it lets you double check to make sure your game is as color-blind friendly as it needs to be. It turns out that people get much worse at recalling more than four things, so keep that limit in mind when you’re designing your game. It’s alright to reward players who can remember more than four things, but you should never require players to remember more than four things. The one exception is that people can “chunk” information together. Using this strategy, people combine like items into a single item for the purposes of the memory limit (maybe remembering “two blue cards, three red cards” rather than each card individually). It’s always a good idea to make your game pieces chunkable, even if players won’t need to remember more than four. I’m combining these two because I think they’re very closely related. Stories are one of the primordial ways people experience the world, and examples are a way to turn rules or systems into stories people can easily process. I think these can help game designers in two ways. 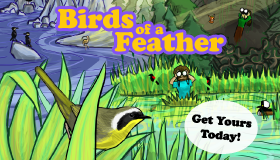 First, it emphasizes the importance of theme for games. At the end of the day, games are just systems, but themes help people understand the systems in part because they help turn games into stories. Second, you should always include examples in your rules. I’m personally quite bad about this, but I’ll definitely be working on it in the future. Some people can handle lists of rules, but most people can’t, and even those who can digest pure rules would probably benefit from having examples thrown in. It turns out it’s not the internet ruining people’s attention spans… our attention spans are just inherently kind of weak. Even when something is interesting, people will only pay attention for seven to ten minutes before their minds start to wander. The good news is that giving people a break can recharge them for another ten minute burst. Again, I have two pieces of advice based on this fact. First, make sure your players have breaks during the game, especially if the game is long. Keeping a game short and allowing players to play multiple times in an evening might be even better. Second, keep your rules concise. Maybe it will take the game leader more than ten minutes to read the rules, but make sure the leader can explain them to new players in ten minutes or less, or you will get players who can’t pay attention to everything. 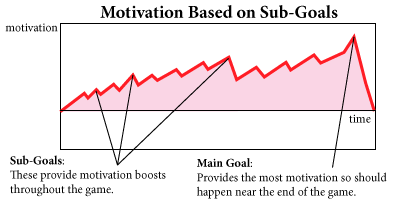 People get more motivated as they get nearer to completing an objective, which means they get more excited and focused as they approach a goal. If you want a game with a nice dramatic arc, this means two things. 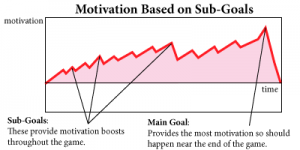 Provide sub-goals throughout the game to make sure players continue to be motivated. First, make sure your players have sub-goals throughout the game. If you rely on players having one big goal, the beginning of the game will be less engaging, since players are so far away from accomplishing anything. Second, make sure your game ends shortly after your players have accomplished their big goal. It’s probably ok to have a little bit of cool down time to let your players recover from their heightened state of excitement, but you definitely don’t want it to linger since the last experience they have with a game will often be one of the most defining parts of the experience. People play games for many reasons, but accumulating victory points or pretend money generally isn’t one of them. As a game designer, you can only immediately offer your players rewards that have no inherent meaning, but the space you create with your game can imbue those fake rewards with real meaning. As you design, remember the real reasons people play games. They play games to boost their self esteem (they like feeling smart, creative, and funny). They play games to socialize with and make new friends (they like to bond and scheme with other people and elevate their social status by showing off). They play for excitement and to feel good (people enjoy feeling surprised and in suspense). They play to experiment with different identities and feel like they’re a part of something big (stories speak to people). Whatever extrinsic rewards you’re offering in your game, make sure they support the real reasons your players are playing. Remember, your game isn’t just a system played by robots. Your game is played in social situations by people. People will play your game to get to know each other better and spend quality time together, even if it isn’t a party game like Apples to Apples. Humor is a great way to enable people to bond through a game. Throw in some jokes. Better yet, set up your game so players can make their own jokes. Even serious games can benefit from having silly interactions or names that lend themselves to playful trash talking. Whatever you do, get your players to laugh… people like to laugh, so people will like your game more if it gets them to laugh! This may not come as a surprise given that almost all modern games feature cards or dice, but randomness is great to include in games because it makes people feel good (in addition to doing a bunch of other important stuff). But beyond randomness, consider surprises outside of individual games. Risk Legacy reveals new treats as players play more, and games with lots of expansions like Dominion keep players guessing what’s coming next. It turns out that people don’t like to sit around doing nothing. If you keep up with my blog, you already know that I think that engaging players at all times is one of the most important things you can do as a game designer, and this fact just drives it home. You should strive to make sure your players never find themselves sitting around doing nothing, and if for some reason you can’t do that, give them something to occupy themselves. Planning their next turn generally works (though don’t rely on people actually doing it), but in my experience, including something physical for players to fiddle with (like roads and settlements in Settlers of Catan) does the trick. When people have to work to get something, they value it more. I’m guessing this is why people tend to use things more when they have to pay for them rather than when they’re given away for free. For game players, satisfaction from overcoming a challenge is nothing new. Setting up that killer combo or struggling and finally beating the end boss leave players smiling like nothing else. The biggest take-away from this is to not dumb your game down too much. There is a tendency in design to make things easy for your players… game design is perhaps unique among design disciplines to actively strive to throw obstacles in front of users. Even still, many game designers these days are willing to make games extremely easy to reach a larger audience. It’s always good to keep in mind that making your game easier means sacrificing these very pleasurable overcoming-a-challenge experiences. That said, keep in mind lesson 38: People Can Be in a Flow State (definitely worth reading up on if you’re not familiar). It’s important to challenge your players, but making things too difficult will frustrate them. This is much more challenging for non-digital games, but as a game designer you should strive to make sure your game’s difficulty scales with your players’ skill levels. And there you have it. Ten (or so) things every game designer needs to know about people. I hope these are useful for you, but the book doesn’t stop there! 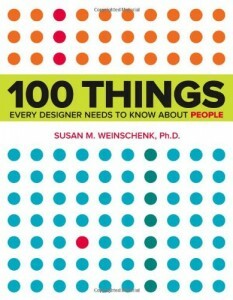 100 Things Every Designer Needs to Know about People has a bunch more interesting and useful facts, and while I think I chose the most useful for game designers, I could easily be wrong. The book is a quick read and very user friendly (as if the author knows something about designing easy to use artifacts…). I highly recommend it. Cracking post NSG, really really wonderful. I will be bookmarking this and might even explore some of the points individually at ExampleofPlay.com if you wouldn’t mind? Again, very happy you put these up here, very appreciated. I was SO stoked when the put colorblind mode into the League of Legends spectator mode. Why don’t more designers get this?